Technology, or the use of tools to solve problems, is a key consideration in today’s digital world. As Hueya works with families–both adults and youth–our aim is to balance the understanding that technology and social media play important roles in our daily and familial lives with the right to feel safe, protected, and knowledgeable about privacy, property, and reputation. Based on Hueya’s research with families and their efforts to become a more mindful, connected family in a digital age, we offer a few insights on the interplay between children’s development across several domains, the relevance of technology, and the role of adults to support this interaction. Cognitive: Cognitive development refers to children’s overall processes of analyzing and integrating information from their prior experiences with new information. It refers to the ways in which children make sense of the world, solve problems, and communicate their understandings. Emotional: Emotional development refers to children’s emerging capacity to recognize, make sense of, express, integrate and regulate a wide range of feelings and emotional processes. Social: Social development expands upon emotional development to include understandings of others. This includes the emerging ability to recognize others as distinct from the self and the acknowledgement that perspectives and experiences differ among others. Moral and ethical: Moral and ethical development builds upon the prior areas of development to include an ability to consider an increasingly abstract audience and range of reactions and consequences for behaviors. During this time in development, children’s brains are experiencing a period of rapid development. Experiences and relationships help to build neural networks that pave the way for future learning across all domains of development. When children are surrounded by loving, nurturing, supportive, and safe adults, they develop a foundation for learning and wellness. At this stage, children are developing strong connections based on experiences. Children’s sensory explorations provide a foundation for learning. Young children’s emotional capacities begin with their relationships with loving, supporting, nurturing, and responsive caregivers. Children rely on others to recognize and soothe emotional experiences. Relationships are at the heart of learning and development. Through children’s social connections with primary caregivers, children learn to see others as separate from themselves. Early evidence of empathy, or the ability to consider the experience of others, is clear even in these early years. As children explore their world, caregivers begin to give feedback about acceptable behaviors. Rules are perceived as absolutes and reasoning is often dominated by the rational that something is either right or wrong. Defining something as wrong is often based on the fact that it is “against the rules” and that one might get into “trouble” if the rule is broken. Due to the indisputable role of nurturing and responsive interactions with supportive caregivers during this critical time of development, technology use and engagement should always consider the role of the relationship. Using technology in real time to share face-to-face interactions is a technologically and developmentally appropriate way to use devices to sustain personal relationships and strengthen emotional connections. An example of this might be using Skype, Facetime, or other video messaging to interact with relatives or close friends. During the first two years of life, relationships provide a foundation for learning and development. When caregivers are responsive, nurturing, and supportive of children’s needs, children develop a sense of trust. Children’s early hands-on experiences provide a foundation for physical knowledge. Children continue to explore their world and use their increasingly sophisticated language skills to communicate their understandings and wonderings. 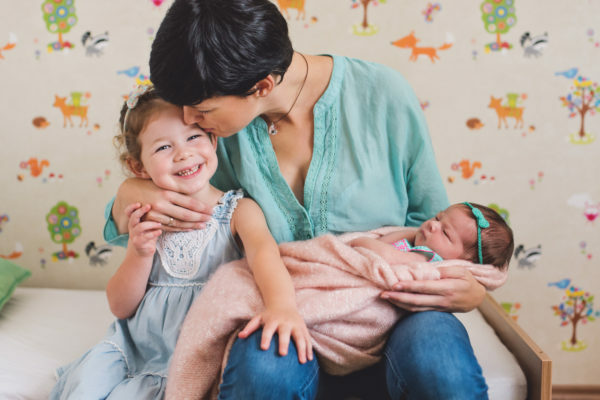 Based on experiences in their earlier years, preschoolers are building an emotional vocabulary and beginning to name their own feelings and can start to recognize the feelings of others. With guidance, children can begin to recognize their own emotional states and the behaviors or strategies that can help them to appropriately express emotions. Friendships are often based on proximity and perceptions of shared interests. As children’s emotional development matures, their ability to build friendships grows. Adults can begin to help children’s understanding of morality by introducing the “golden rule” and facilitating communication between groups of children. Exploring the question of “how would you feel if…” is still too abstract for most young children to grasp. Instead, focusing on facial expressions and behaviors can facilitate deeper empathy and perspective-taking. This is a critical time for helping children to navigate exceptions to rules. For instance, if we’ve asked children to respect and follow the guidance of adults, we need to let them know when something is not okay and to seek the help of other safe caregivers. While many apps and websites designed for preschool-aged children tend to focus on academic skill building or games, a greater need is to support children’s ability to creatively problem solve and consider multiple perspectives. Young children continue to need adult guidance as they develop the skills to build and sustain friendships. When adults help to guide problem solving efforts, they provide children with the framework to eventually problem-solve independently. School years are a time of rapid development across all domains. As children engage with peers, teachers, and an increasing social circle, which includes adults and other children, they develop stronger associations and dispositions about themselves as learners. During this time, we see that children develop a stronger sense of self in relation to their participation in peer groups, special interests, sports, and school-related activities. At this stage of development, children display a diverse range of abilities and proficiency across domains. As the complex processes necessary for reading comprehension, mathematical computation, and scientific reasoning mature, children are growing in their capacity to communicate their understandings. With a stronger sense of internal experiences, children are able to communicate their own emotions more effectively, and they are able to see beyond their own experiences to understand that others may have a different perspective. Friendships are increasingly important and the role of close adults and family members continues to provide a solid “home base” for exploration and social-emotional stability. At this stage, children need guidance and active opportunities to explore the ramifications of behaviors and actions. With guidance, children’s sense of morality and right and wrong can expand to consider exceptions and broader perspectives underlying behaviors. Asking questions about “What would you do?” or “What else could be happening?” will help to develop a morals and ethics that extend beyond the individual child to include the impact of friends, family, and community. In many education programs, school-provided technology is becoming the norm. 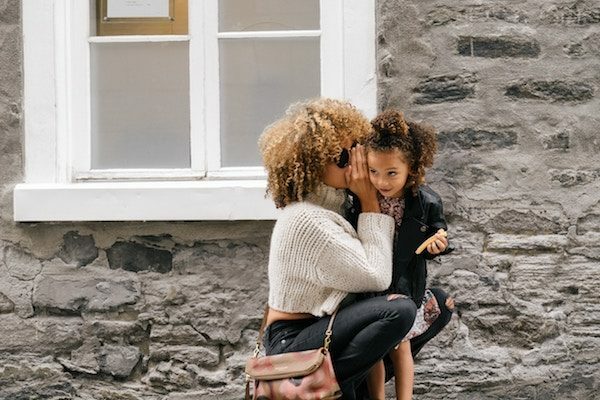 As children increase their use and reliance on technology for school, social connection, and entertainment, they will need a new level of support that may be distinctly different than face-to-face expectations. For instance, in a school setting, when a new child wants to join a group to play a game, we ask our children to widen their social circle. However, in online environments, we start to teach our children that this is not necessarily a good idea as the “child” may be an imposter. Technology can support many of the cognitive skills of this age. Opportunities to creatively solve complex problems can continue to strengthen and supplement school-based focus area. Additionally, gaming apps and websites that allow children to build worlds and connect with others may support developmental needs for special interests and the opportunity to make choices. Adults, including parents, grandparents, teachers, and other supportive adults in the lives of children play a central role in elementary-aged children’s lives. As children grow in their development across domains, growth can be uneven and irregular. Adults can help children to leverage their skills in one area to grow in other areas. For instance, when children are struggling academically, asking children to think about how they approached a challenge with a friend in a creative way, may help to open up a new strategy. Currently, there is an exciting focus on the unique period of development we refer to as the adolescent years. Marked by complex reorganization of the brain’s architecture, it has been argued that the adolescent brain and subsequent developmental drives showcase many of the most desirable qualities of the human species, including increased creativity, flexibility in thinking, social connection, and emotional capacities. At a neurological level, perhaps the most significant change taking place in the adolescent brain is the strengthened connections between different regions of the brain. This is a time of reorganization and fine-tuning of associations. Of particular interest is the maturation process taking place in the most recent area of the human brain–the prefrontal cortex. Located behind the forehead, this region serves as the control tower for skills associated with executive functioning. This includes planning, emotional regulation, consideration of risk and consequence, and perspective taking. In light of the rapid architectural changes taking place, the tween/teen brain is vulnerable when it comes to emotional development. While the areas of our brains that allow us to think critically and solve problems creatively are in flux, the “older” areas of our brain, specifically our limbic system, are maturing along an often different trajectory. During the adolescent years, our brains are primed to take in new information about our environment and to seek novelty, and yet, we are on constant lookout, often at an unconscious level, for signs of threat, judgement, and social or environmental signals of potential danger. This state of “high alert” can sabotage adolescents’ otherwise mature levels of critical thinking. At the core of adolescents’ social development is the drive to balance a strong sense of identity with social affiliation. Youth at this stage refer to their peer group as a reference point outside of their family. Connection, a secure sense of belonging, and an authentic need to “be a part” of the peer culture is a developmental need, and it serves our youth as they prepare to venture beyond the comfort and safety of their immediate family into wider social networks. As adolescent brains’ are wired to seek novelty, new social connections with peers, the prefrontal cortex is not always able to mitigate developmentally expected risk-taking behaviors. The emerging ability to anticipate potentially negative, harmful, or dangerous outcomes means that adolescents are less likely to consider the layers of impact. In light of adolescents’ focus on identity, peer affiliation, and participation in peer-to-peer exchange of ideas and experiences, without opportunities to build specific skills around moral and ethical reasoning, it’s more likely that youth will think of the personal implication of their actions instead of broader social, community, or global impacts. There is a rapidly growing field of research focusing specifically on the interplay of adolescent development and the role of technology. In terms of identity development and interpersonal relationships social media has become an expected–and some might argue necessary–component to the adolescent years. Apps designed to connect “friends,” establish followers, and document the often daily details of youth’s personal and social lives are rampant. In many ways social media offers a near perfect example of developmental responsiveness; however, the digital age simultaneously offers a reflection of the exact vulnerabilities in this stage of human development. 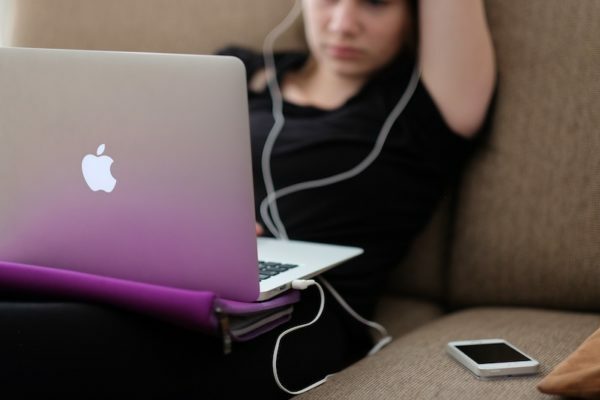 An inflated sense of self, impulsiveness, a drive for instant gratification, the drive to connect with others beyond the family–all are developmentally appropriate components of the adolescent years, and they are often magnified in online activities. Current research offers a very hopeful glimpse into the inner lives of youths’ online experiences. From this emerging body of work, we see that youth do prioritize privacy and that they are grappling with issues around safety, reputation, and the impact of living in a world that doesn’t forget. Perhaps more than ever, youth in the adolescent years need positive modeling from the adults in their lives when it comes to developing skills for engaging in online social media. Adults can expand upon youth’s existing interest in maintaining their social connections and reputation to include broader social and global considerations. To do this, youth need adults to provide opportunities for conversations about digital dilemmas. This is also a critical time in which youth’s developmental needs to connect and fit in with peers puts them at risk for seeking novel (and sometimes risky) behaviors without consideration of consequence AND a more potent emotional response in the face of real or perceived rejection. In light of the alarming epidemic of adolescent suicidal ideation, online harassment, and digital shaming, the adolescent years are a time in which youth have a critical need for increased involvement, trust, and open communication with their trusted adults when it comes to on and offline behaviors.